Although China and rate hike fears have abated, recent scares have built a volatility into the market. That means it is time to pack your portfolio with some dividend stocks. Not just any dividend stocks, though. You want to buy dividend stocks with big yields, a strong track record of dividend growth and a strong track record of share price appreciation. When you have all three of those, you have a stock with strong fundamentals and healthy downside protection. Those are the types of dividend stocks you want to buy in this volatile environment. With that in mind, here’s a list of 7 dividend growth stocks investors should consider buying. 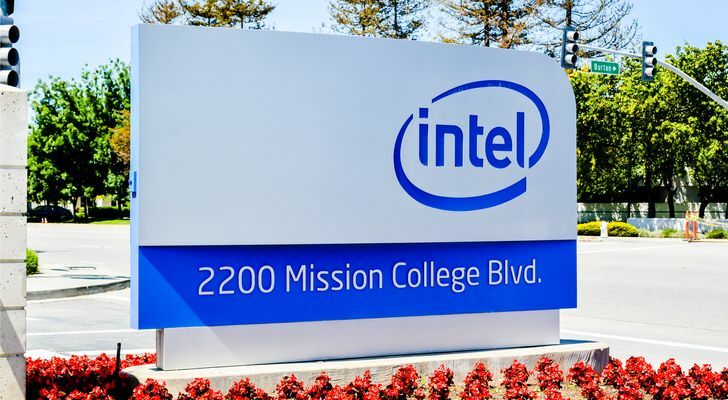 Chipmaker Intel (NASDAQ:INTC) sits atop this list of dividend stocks to consider because it is the ideal combination of healthy dividend yield, strong track record of dividend growth and robust fundamentals underlying the stock. On the yield side, Intel has consistently hiked its dividend over the past five years to the tune of a 30%-plus raise during that stretch. That is very impressive. Meanwhile, the current yield is 2.14%, versus a five-year average yield of 2.8%, so we are in line with long-term average. The payout ratio is also healthy and sustainable for a company of Intel’s nature. On the fundamentals side, INTC stock is supported by secular growth tailwinds in the AI, IoT, and cloud markets. Intel makes the chips which power these markets. As long as demand from these next-gen markets remains robust, Intel’s financials will remain healthy. The growth outlook for these markets at the present moment remains favorable. As such, the growth outlook for INTC stock likewise remains favorable. Beverage giant Coca-Cola (NYSE:KO) is yet another dividend stock with attractive low volatility fundamentals. With KO stock, you have a stock with a strong yield and equally strong track record of growing that yield. You also have a company with stable and enduring demand, the likes of which tends to become more valuable during times of volatility. On the yield side, Coca-Cola has consistently hiked its dividend over the past five years to tune of a near 40% raise during that stretch. That is about as good and as consistent of dividend growth as you will find anywhere. Meanwhile, the current yield is 3.32%, which is above the long-term average of 3.1%. On the fundamentals side, KO stock is supported by arguably the most stable growth driver in the world: the need for consumers to drink. 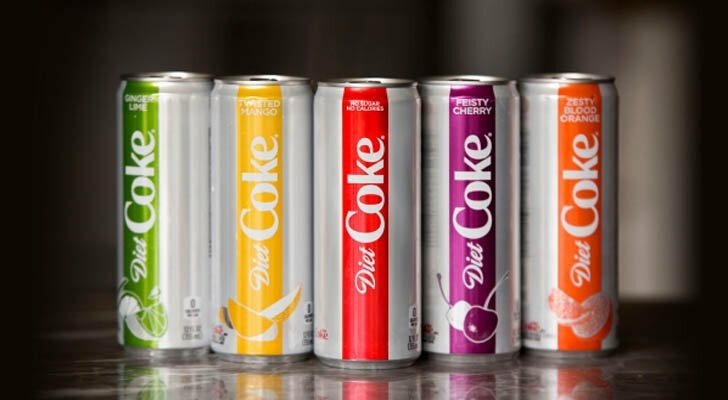 Some were worried about KO stock due to secular headwinds diminishing the global popularity of carbonated beverages, but Coca-Cola has managed to diversify away from its core carbonated beverages. The product portfolio now includes juices, teas, sports drinks, premium waters, coffee and more. All together, KO stock has become a pure play on the global beverage industry, and this is an industry characterized by the most stable demand drivers in the modern economy. This stability will become increasingly valuable to investors amid rising volatility. Athletic apparel giant Nike (NYSE:NKE) isn’t much by way of a pure dividend play. But, what the stock lacks in terms of pure yield, it more than makes up for in dividend and share price growth. So long as the fundamentals underlying this growth remain favorable, NKE stock should do well, even amid rising volatility. On the yield side, Nike’s dividend yield isn’t all that impressive at just over 1%. But, the long-term average yield is just over 1%, too, so the current yield isn’t abnormal. On the fundamentals side, Nike has yet again proven its ability to squash rising competition and maintain its unprecedented leadership position in the athletic apparel world. Over the past several years, Nike has fought off threats from Under Armour (NYSE:UAA), Adidas (OTCMKTS:ADDYY) and Lululemon (NASDAQ:LULU). Moreover, the athletic apparel industry is only growing due to still rising global athleisure trends, so Nike is sitting atop a still growing industry. So long as this remains true, NKE stock will be a long-term winner. Retail giant Target (NYSE:TGT), much like the other stocks on this list, has attractive low volatility fundamentals characterized by a big yield, strong dividend growth and strong stock price performance. On the yield side, Target’s dividend yield of just over 3% is attractive for a growth company with stable growth prospects. Moreover, that yield is largely in-line with the long-term average yield of just below 3.2%. The trailing five-year dividend growth rate of more than 50% is very attractive, and the fairly reasonable 40% payout ratio implies that this dividend is sustainable and has room to keep heading higher. On the fundamentals side, Target has re-invented itself as an omni-channel retailer over the past several quarters. This transformation has supercharged growth across all important metrics, including decade-best comparable sales growth last quarter. Considering ecommerce growth tailwinds remain alive and strong, Target should continue to grow alongside robust e-commerce market expansion. As such, so long as the consumer remains healthy, TGT stock is supported by strong growth fundamentals. Mostly due to investors greatly exaggerating the death of brick-and-mortar retail over the past several years, retail giant Kohl’s (NYSE:KSS) currently sports some of the most attractive low volatility fundamentals among dividend stocks. The yield is huge, the track record is impressive and the fundamentals remain healthy. On the yield side, KSS stock features a 3.55% yield on a 40% payout ratio, a healthy combination which implies that the dividend is both big and safe. Meanwhile, that big and safe dividend has grown by a whopping 70% over the past five years. That is about as big a dividend growth rate as you will find among stable and large cap stocks. On the fundamentals side, Kohl’s has managed to thrive amid broader brick-and-mortar retail weakness due to its off-price and off-mall nature. Quite simply, Kohl’s has a unique value proposition of allowing customers to buy things at big discounts, and do so without dealing with the hassle of malls. Consumers have rallied around this value prop, and Kohl’s has posted consistently strong numbers over the past several years. Thus, so long as the consumer remains strong, KSS stock will be supported by healthy growth fundamentals. 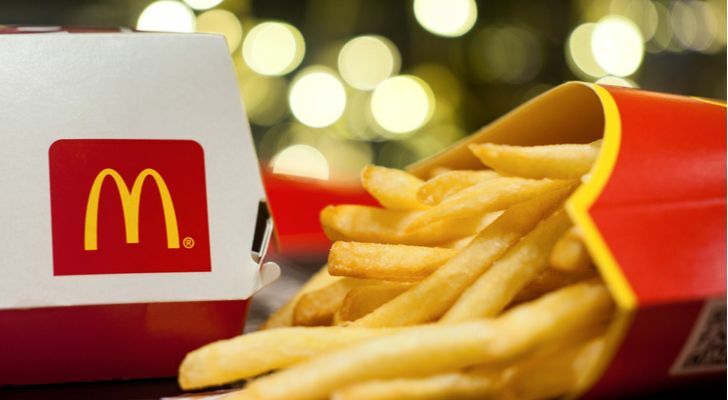 The raw yield on fast casual food giant McDonald’s (NYSE:MCD) isn’t all that attractive, but the growth fundamentals, both on the earnings growth and dividend growth side, are quite attractive. Tat combination more than compensates for the non-noteworthy yield. On the yield side, McDonald’s 2.38% dividend yield isn’t anything to write home about. It is also well below the five-year average yield, which is above 2.9%. That isn’t good. But, the payout ratio is stable at 60%, and that stable payout ratio comes despite robust 40%-plus growth in the dividend over the past five years. As such, while the raw yield isn’t all the attractive, the dividend growth trajectory is quite attractive. On the fundamentals side, McDonald’s, much like Nike, has managed to consistently thwart rising competition over the past several years and maintain leadership position in a stable growth market. McDonald’s dominates on price and convenience, and those features have enduring demand. Regardless of where food trends shift, consumers always want cheap, and they always want fast. McDonald’s always consistently gives consumers both of those better than anyone else in the industry, and as such, MCD stock is supported by enduring long-term growth fundamentals. When volatility rises in the stock market, investors tend to find shelter in high-yield utility stocks with stable fundamentals. One such high-yield utility stock is American Electric Power (NYSE:AEP), which has attractive low volatility fundamentals. On the yield side, AEP stock has a 3.2% dividend yield, which is both quite attractive and in-line with the long term average yield of 3.5%. The payout ratio is reasonable around 60%, implying that the dividend is safe. Meanwhile, dividend growth has been quite attractive at a cumulative 34% over the past five years. On the fundamentals side, American Electric power is a massive electric utility company that delivers electricity to more than 5 million customers across eleven states. Demand for electric services isn’t going to waver anytime soon, nor is it going to fluctuate dramatically with economic growth. As such, the demand drivers underlying this business are stable, and stability tends to become more valuable to investors during volatile times. As of this writing, Luke Lango was long INTC, KO, NKE, KSS, MCD, and AEP. 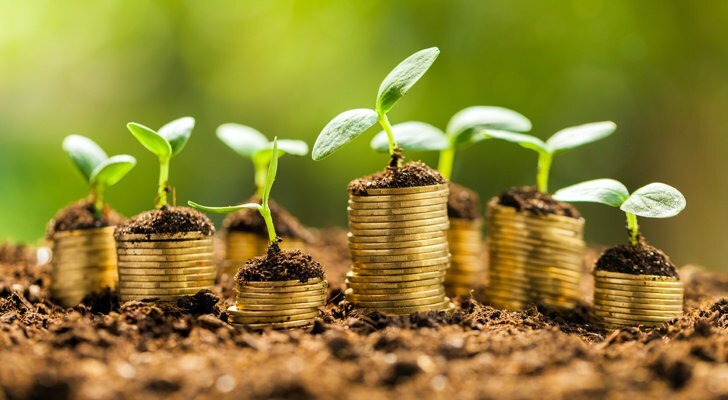 Article printed from InvestorPlace Media, https://investorplace.com/2019/04/7-dividend-stocks-to-consider-growth-stocks/.